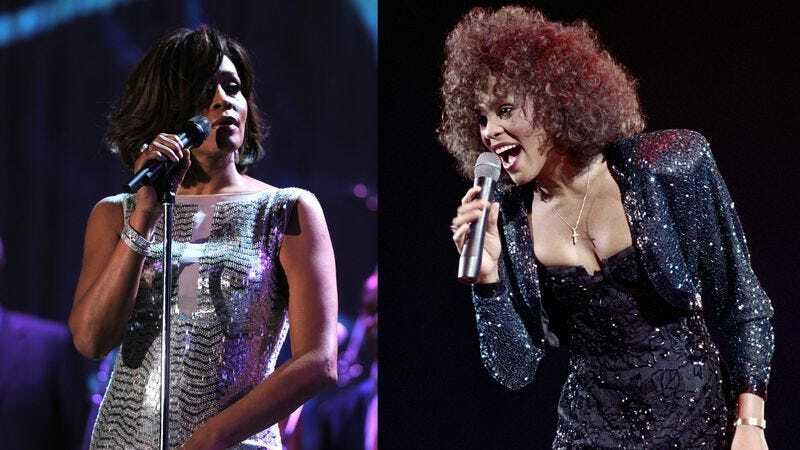 Because nothing in the life or death of Whitney Houston could ever be easy, Deadline is reporting that competing documentaries about the celebrated singer are now in the works. We’ve already reported on efforts by Nick Broomfield—the aggressively unauthorized filmmaker behind movies like Kurt & Courtney and Sarah Palin: You Betcha!—to make a feature, Whitney, for Showtime and the BBC. Now Kevin Macdonald, the director of the well-regarded Bob Marley doc Marley and the pilot for Hulu’s recent 11.22.63, has also announced his intent to document Houston’s life. Macdonald’s movie doesn’t have a title yet, but it’s being billed as the “official” documentary, with an endorsement from Houston’s estate to tell “the unvarnished and authentic story” of her rise and eventual fall. That’ll presumably put it into sharp contrast with Broomfield’s film, given the British director’s track record; he made controversy (and headlines) back in 1998, when he devoted a significant portion of Kurt & Courtney’s running time to allegations that Courtney Love was involved in her husband’s death. Macdonald’s movie is expected to come out some time in 2017. Broomfield’s has yet to set a release date, but is currently listed as “filming” on IMDB.